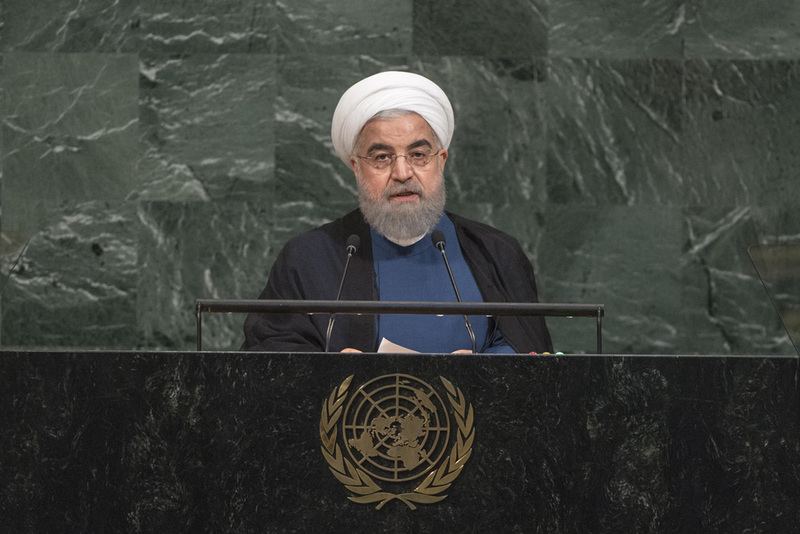 Iranian President Hassan Rouhani pledged that his country would continue adherence to the nuclear pact, while denouncing those seeking to rip it apart, a clear allusion to the Trump’s administration. “I declare before you that the Islamic Republic of Iran will not be the first country to violate the agreement, but it will respond decisively and resolutely to its violation by any party,” he told world leaders Wednesday, the second day of the General Assembly’s 72nd annual general debate. In his address Tuesday before the General Assembly, President Donald Trump denounced the accord curbing Iran’s nuclear program as one of the “worst deals ever”. “The Iran Deal was one of the worst and most one-sided transactions the United States has ever entered into. Frankly, that deal is an embarrassment to the United States, and I don’t think you’ve heard the last of it — believe me,” said Trump, insisting “We cannot let a murderous regime continue these destabilizing activities while building dangerous missiles, and we cannot abide by an agreement if it provides cover for the eventual construction of a nuclear program. Endorsed unanimously by the UN Security Council in 2015, the Joint Comprehensive Plan of Action (JCPOA), between its five permanent members (China, France, Russia, the United Kingdom and the United States), plus Germany, the European Union (EU) and Iran, set out rigorous mechanisms for monitoring limits on Iran’s nuclear program, while paving the way for lifting UN sanctions against the country. Since then, the International Atomic Energy Agency has been regularly inspecting Iranian sites. Written by: Peter Mulvany on September 20, 2017. Posted by Peter Mulvany on Sep 20 2017. Filed under Gulf News, Headlines, World News. You can follow any responses to this entry through the RSS 2.0. Both comments and pings are currently closed.